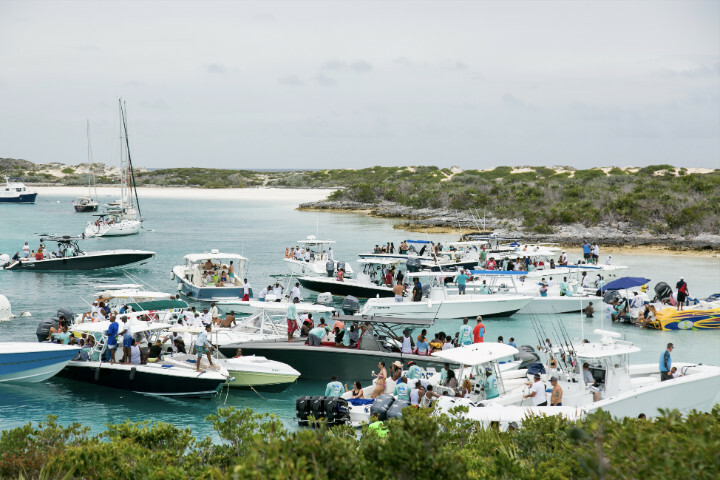 Nassau / Exuma -- The Bahamas Poker Run co-founders, Jordan Lampkin and Shane Freedman, have concluded that by all accounts the 2018 Third Annual edition was a huge success. Announced on Thursday, June 7th at the official cheque presentation, Bahamas Poker Run (BPR) committee members were elated at the turnout and support for this event, resulting in the event being able to this year make a sizeable $10,000 donation to the Bahamas National Trust (BNT) in support of the Exuma Cays Land and Sea Park (ECSP). 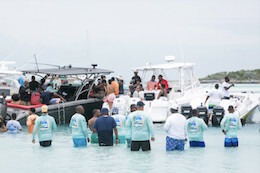 The Third Annual Bahamas Poker Run took place on May 12th with more than 400 participants and 60 boats riding in caravan between New Providence and The Northern Exuma Cays. The poker run’s first stop was Warderick Wells where the ECLSP headquarters and Visitors Centre is located. 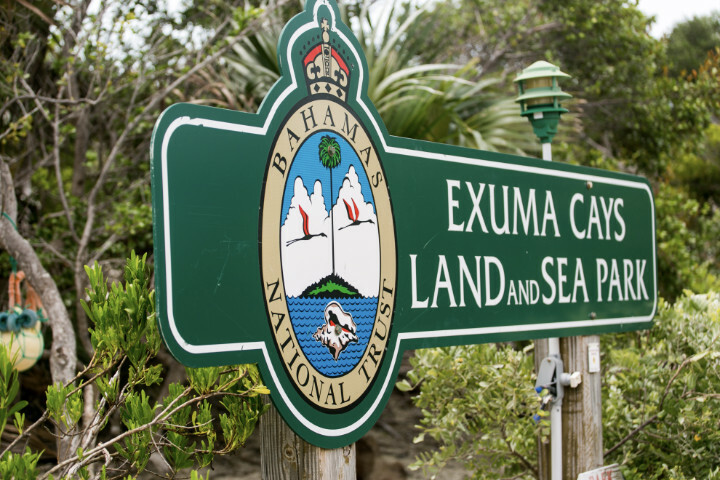 This stop allowed hundreds of Bahamians to visit their national park for the first time. This year, The BNT was the sole charity recipient of proceeds raised from the poker run. Shane Freedman presented the check to Janet Johnson, President of The BNT, and Eric Carey, BNT’s Executive Director. “Our charitable donation to The BNT is an important part of this event. 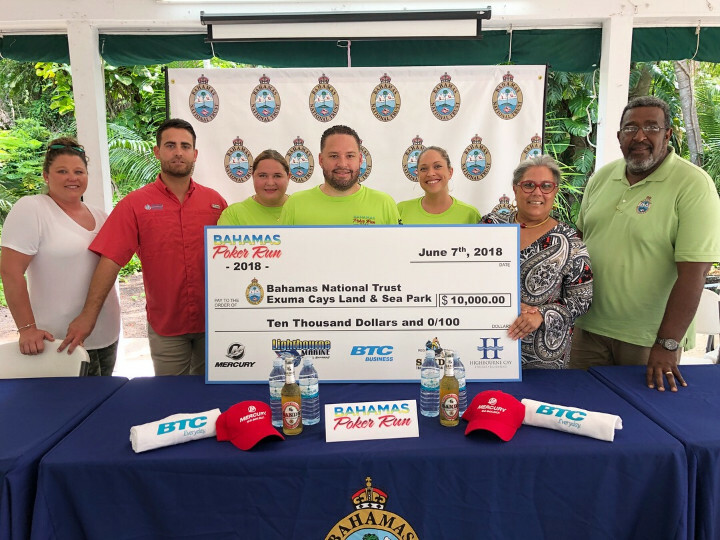 We are proud to do our small part towards the awareness, education, protection, and conservation of these most beautiful Bahamian parks,” said Shane Freedman, co-founder, Bahamas Poker Run. 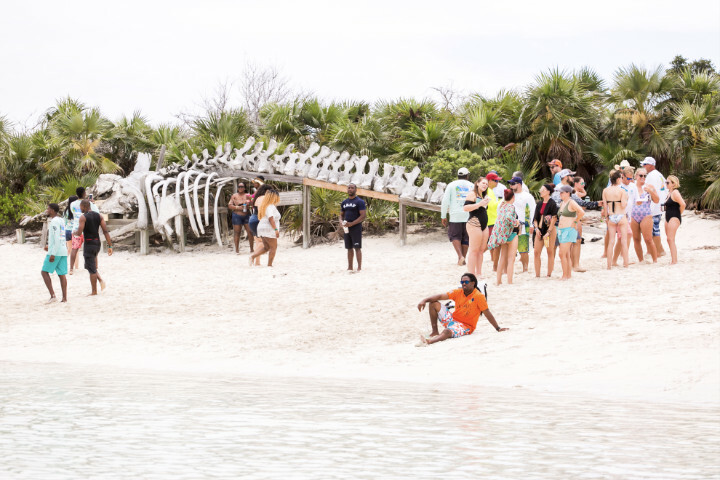 The Exuma Cays Land and Sea Park was the world’s first protected area of its kind when created in 1959 by the same legislation that established The Bahamas National Trust. This 176-square-mile park is known for its pristine beauty, outstanding anchorages, and breathtaking marine environment. 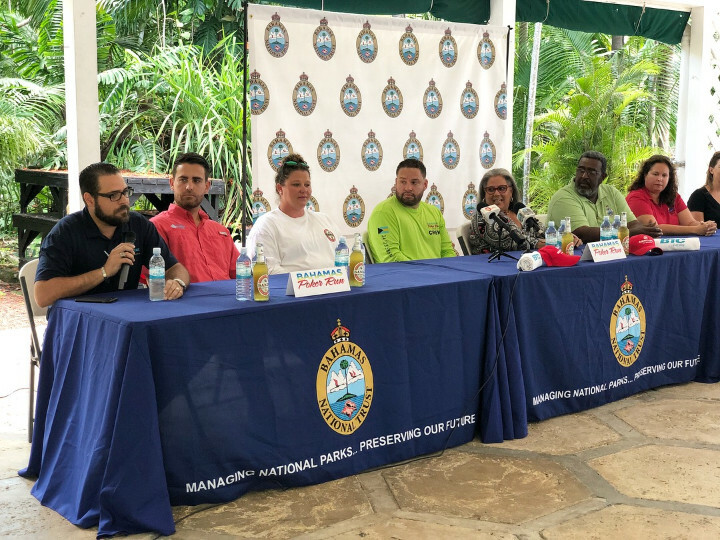 Carey extended his gratitude to BPR partners adding that to operate a park of the Exuma Cays Land and Sea Park’s magnitude costs nearly 1/2 million dollars annually. He noted that, this cannot be done without corporate support. 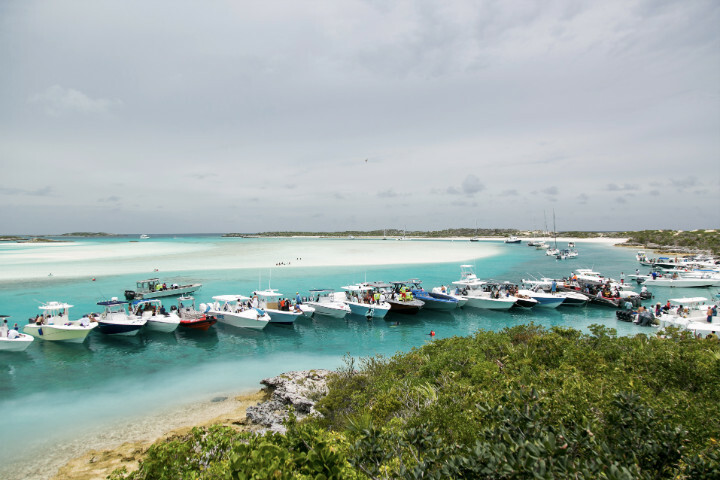 The seafaring event has garnered support from local partners who understand that The Bahamas is a prime destination for boating, and are thrilled to sponsor an all-Bahamian event. They were thrilled with this year’s success and look forward to see the continued success of Bahamas Poker Run in the years to come. Supporting partners included: BTC Business, Mercury Marine, Lightbourne Marine, Sands Beer, Highbourne Cay, Lampkin Marine Services, Muddasik, Bahamas International Foods, Prime Food Distributors, Tito’s Vodka, Banrock Station Wines, Aquapure Water, Schweppes, and Sky High Media.